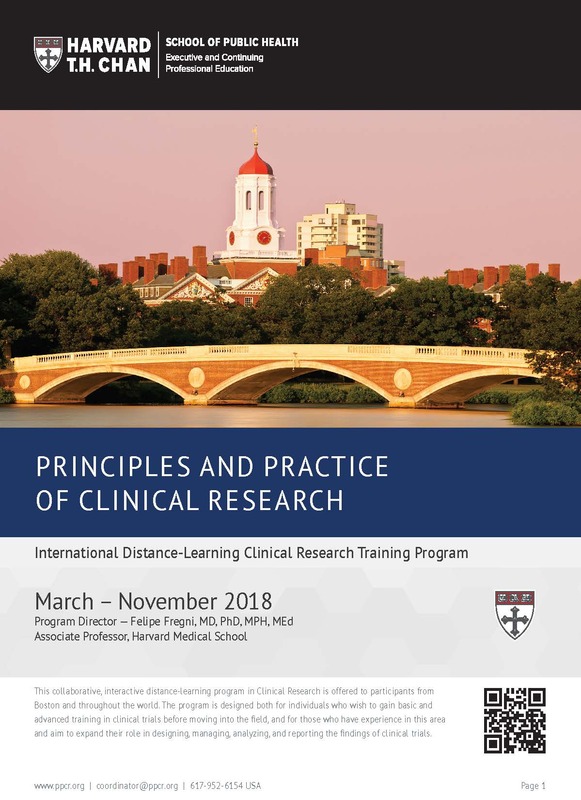 Principles and Practice of Clinical Research offers training in clinical research and aims to create a global network of clinical researchers. Our program uses cutting edge technology to accelerate and promote training in clinical research. You will explore clinical research (including research basics, statistical methods, data collection, and study design) to ensure that you can conduct clinical trials in an effective manner. By participating, you will become a more efficient and effective clinical researcher. Program participants will be new and experienced individuals who wish to gain basic and advanced training in clinical trials. Applicants usually have a graduate degree or a health care professional degree (MD, MPH, or similar) and they reside all over the world. "The course was very well structured, covering basics to advanced knowledge about many aspects of clinical research. Not only helped me to understand the technical aspects about researching, but also about working in group, discussing ethical and philosophical aspects. It required hard work and dedication, but it´s completely worth it! A life-experience opportunity!"